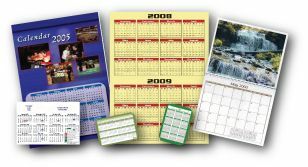 Whether you want to give your friends a calendar with personalized photographs or you need to print a calendar for commercial purposes, we can help you print it. Our calendar printing service gives you an opportunity to promote your service or product as well as to create a year-round bond with your clients. With eye-catching designs and top-quality printing, our calendar printing will help you create a lasting impression in your customers’ minds.